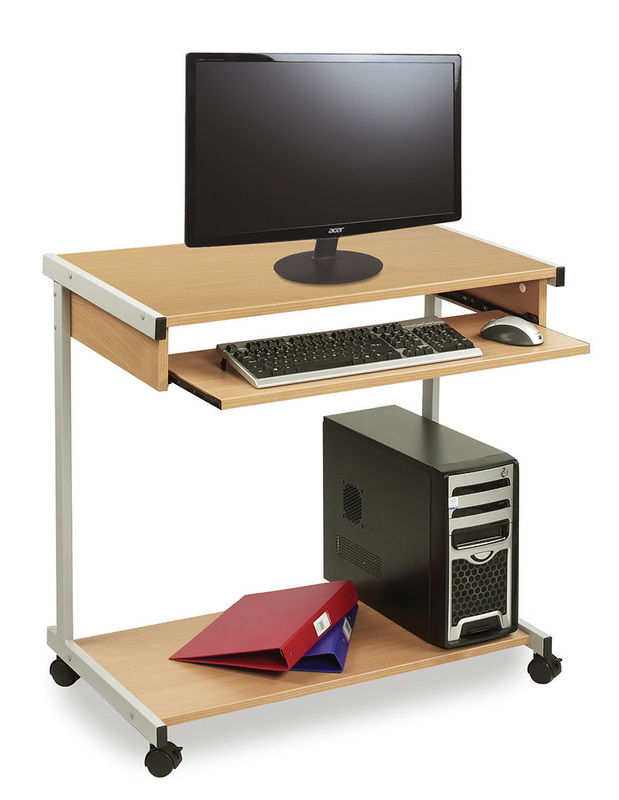 The wide computer work trolley been designed for use in schools and has been built to with stand the rigours of daily use. The heavy duty steel frame is available in red, cool blue or light grey finishes. The beech top is constructed from 18mm MFC and comes complete with easy glide castor wheels for easy mobility. The top shelf is the ideal position for a computer monitor and the sliding keyboard shelf provides easy access to the keyboard when required. The fixed bottom shelf is deep enough to hold a tower unit whilst keeping it neatly tucked away at the bottom of the computer trolley. Please note: this item is non-returnable as it is made to order. The computer and accessories featured in the product images are not included. For more information please Contact Us or call us on 01733 511121. See our full range of Computer Trolleys.